The MACK system is based on a linked, modular design, with no fixed mechanical connection between the modules. All connections are over link-cables. 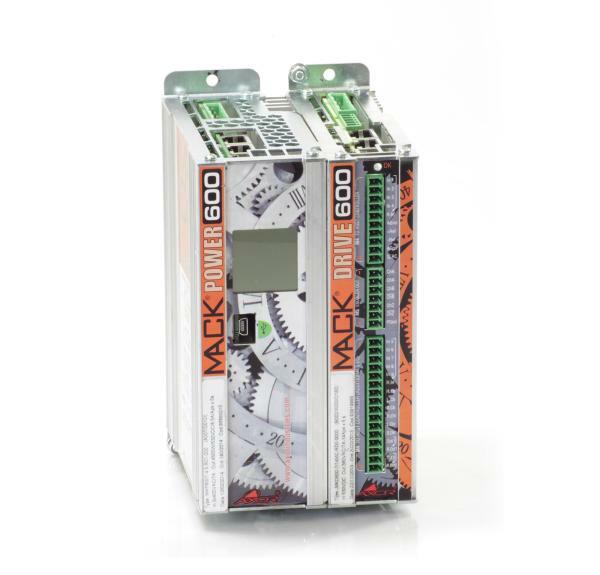 EMC line filter, in-rush and regen circuits are all provided on the MACK POWER module and shared by the connected MACK DRIVE units. The MACK system is complemented with a range of brushless servomotors from 1 to 11Nm. 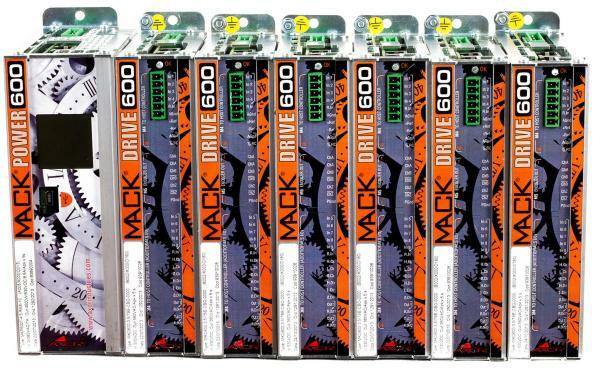 The motors feature AXOR’s proprietary MACK serial encoder enabling the connection of motor and drive via a single, hybrid cable.